June is the perfect month to focus on the men in your life. That’s because it’s Men’s Health Month and June 17 is Father’s Day. This year, give Dad something better than another tie. 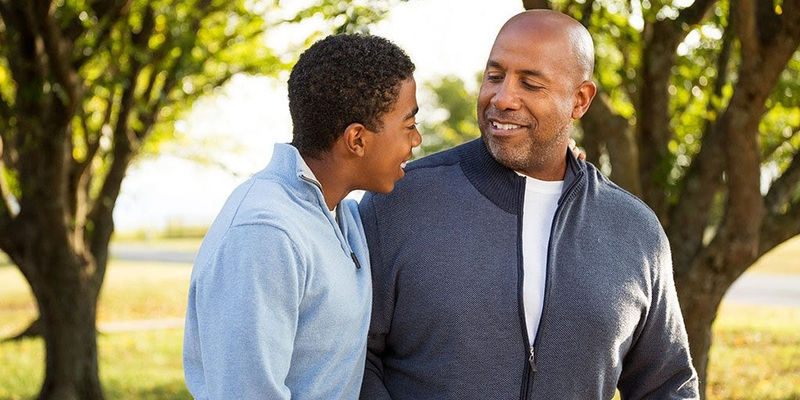 Health care providers and family members should make time to have heart-to-heart conversations with Dad about how he can manage any heart disease risk factors he may have. Simple changes, such as taking medication as prescribed, eating healthy, getting regular exercise, and quitting smoking can make a big difference in improving Dad’s health. Remind him that strong men put their health first. · Heart disease is the leading cause of death for men in the United States, responsible for 1 in every 4 male deaths. · Heart disease is the leading cause of death for men in most racial/ethnic groups in the United States, including blacks, American Indians, Hispanics and whites. For Asian American and Pacific Islander men, heart disease is second only to cancer. · Between 70 percent and 89 percent of sudden cardiac events occur in men. · Half of the men who die suddenly of coronary heart disease have no previous symptoms.